Are you a women entrepreneur seeking finance? 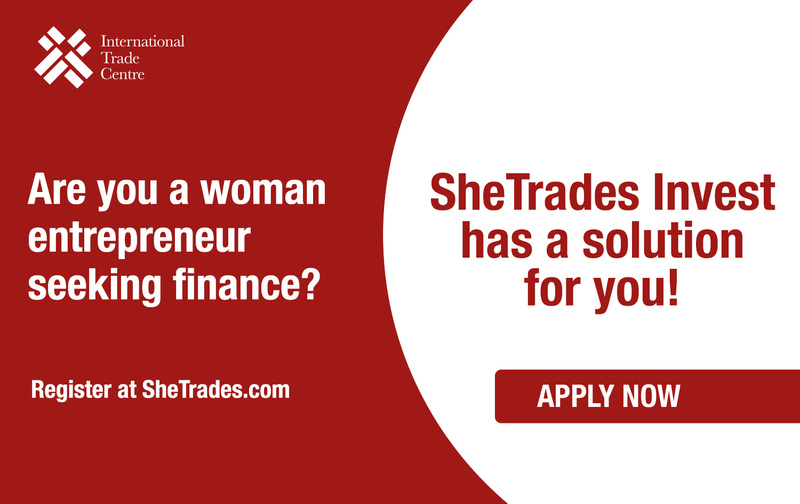 Start your year by applying for finance through SheTrades Invest! All SMEs need finance to run their businesses. Some need money to buy machineries and equipment, others to fund their working capital or trade finance needs. Most banks are not serving them properly. In the recent years, several impact investors have been trying to serve SMEs promoting both social and financial objectives. Providing pre-and-post finance business support. However, many SMEs do not know the available investors, the conditions to access to their funding, and the process to obtain it. SheTrades is building a cohort of impact investors to facilitate the connection between them and SMEs; GroFin is the first investor out of many to join. GroFin is dedicated to invest in women owned enterprises across 14 countries. For more information on the criteria, visit SheTrades Invest. If you do not meet the criteria for GroFin that is fine, apply anyway, as a pool of investors with different selection criteria will join SheTrades Invest this year.